Christopher B. Scott PhD is a Professor of Exercise, Health & Sport Sciences at the University of Southern Maine. As a working exercise physiologist, Professor Scott continues a 35-year career in fitness, science, medicine and academia. His current teaching priorities reside within the Exercise Science program at the University of Southern Maine with a research agenda that focuses primarily on the estimation of the energy costs of strength, speed and power related exercise and activities. He has published over 60 research-related articles in peer-reviewed journals, mentoring dozens of students in the process. His findings on how exercise best contributes to weight loss are unique and informative, being presented both in the United States and International venues. 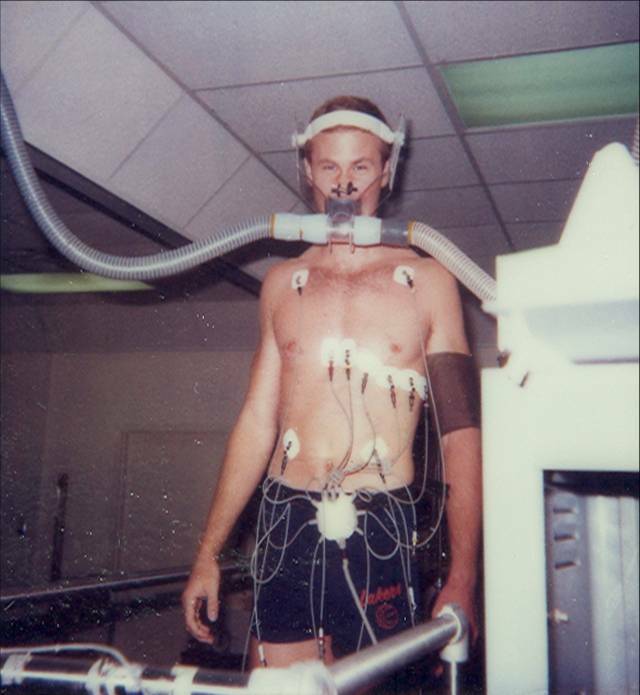 Chris Scott is a leading contributor to the field of exercise physiology and is the author of a textbook on the subject, “A Primer for the Exercise and Nutrition Sciences: Thermodynamics, Bioenergetics, Metabolism” (Human Press, 2008). His research agenda focuses primarily on the energy costs of strength, speed and power-related activities. I encourage you to listen and/or read Chris’s interview with Builtlean.com for a more thorough understanding of some of the concepts we explore. Go here to read/listen. QUESTION(S) OF THE DAY: What insight did you find most interesting? Please let me know in the comments. Very interesting episode, I think much more needs to be done to raise awareness of the efficacy of specific exercise modalities for desired outcomes. Just a note, at 16.30 or so you reference the “amplification cascade” in Body By Science, this mechanism is actually involved in the cleaving of glycogen bonds, enzymes act on other enzymes to release large amounts of glucose molecules within muscle tissue as and when needed. Thanks Andrew. I realised I’d mentioned the wrong mechanism as I said it lol hence the mention of cytokines and myokines afterward. I may be getting confused but my reading is that cyto/myokines are wholly distinct from the enzymes involved in the cleaving of glycogen molecules, Doug simply describes the mechanism by which muscles can release and access large amounts of energy when the demand is greatest. It’s my understanding that Cyto/myokines are suspended in the cytoplasm until cleaved by their own necessary enzymes and then go on to be involved in processes unrelated to glycogen release. Caveat: I am a total layman but have an okay memory for useless minutia. Thanks Lawrence, I’d only read Doug’s reference to biological cascades in the metabolic context set out in Body by Science, which out of context I assumed you were referring to. Sorry for the confusion, will definitely check out the podcasts! Just got those podcasts in my ears, really interesting I could listen to Doug for hours. It’d be amazing if you could do a dedicated episode on myokines. It really goes a long way to explain a lot of the positive effects that I’ve experienced along with changes in body composition that aren’t explained by “conventional wisdom”. Also I’m especially interested in Doug’s ideas about the body shedding stored fat based on it’s functional utility. Simon Costello here. Just wondering if you have to hand some of the figures / examples he mentions around the burning 400 calories – e.g. x mins walking; running; HIIT, squats etc. as I couldn’t quite catch them all with reception and they were just interesting. Not so much for my own training but to have the figures in my head for discussing it with other people!! Chris was reading from his new book. Why don’t you email him direct (email address above) and ask him for examples?